LAGRANGE, Ga. — An atheist group has requested an investigation into the presence of a recognized biblical creation leader and debater at a Georgia high school, where he recently spoke to students about critical thinking. 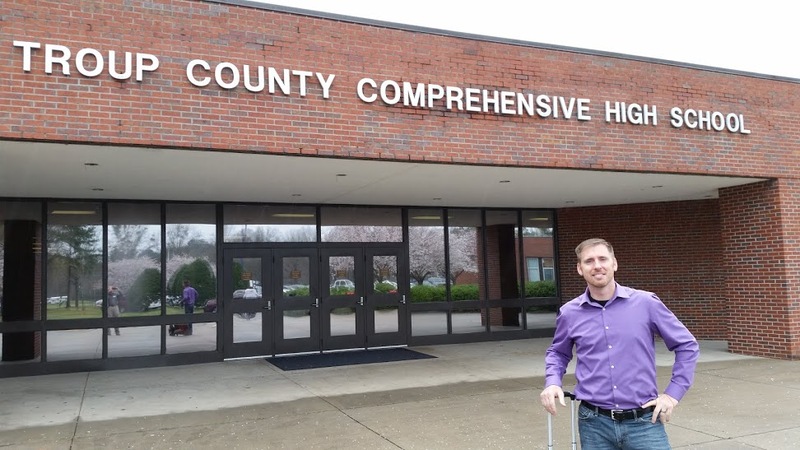 In late March, Eric Hovind, the president of the Florida-based ministry Creation Today, addressed a debate class at Troup County Comprehensive High School in LaGrange. Hovind says that his talk did not include mention of his faith or creation, but was rather a general discussion on critical thinking. But as Hovind had engaged in a debate with a local humanist two days prior and had posted a photo of the event on social media, and since he is a born-again Christian who is known to speak against evolution, atheists became upset with school officials for allowing Hovind to address students. The Madison, Wisc.-based Freedom from Religion Foundation (FFRF) soon sent a letter to the superintendent of the Troup County School System requesting an investigation into Hovind’s appearance. “It is unconstitutional and completely inappropriate for TCCHS to host a fundamentalist Christian speaker whose sole purpose and goal is the promotion of biblical creationism,” the letter, written by staff attorney Elizabeth Cavill, read. Cavill then remarked that it takes the promotion of religion in schools “very seriously,” noting as a threat that it had recently sued a school district in the state. “FFRF respectfully requests that you commence an immediate investigation into these allegations and take appropriate action to avoid First Amendment violations from within your district,” she wrote. But when the Memphis, Tenn.-based Center for Religious Expression learned of FFRF’s correspondence to the district, it likewise sent a letter to officials—to urge them not to listen to the atheist organization. It reiterated that Hovind did not speak about his faith or evolution during his visit. Kellum further noted opined in a press release that he found it astounding that FFRF asserted that people of faith should be “disqualified” from speaking in public schools out of assumptions about the content of their speech.